Get great exposure for your name and logo with our custom-printed clear bandages. These items are unique because your ad will actually be on the customer. The clear bandage makes your add look like a tattoo! Print your ad directly on the bandages Second color available at no additional charge; Custom wrappers available Latex-free bandages. Size: 3-3/8"w x 1-3/16"h x 1/32"d. Imprint Area: Centered on Bandage (Standard): 2-11/16"w x 1/2"h, 2 color(s) max |Step and Repeat on Bandage Wrapper (Optional): 1-1/2"w x 1/2"h, 2 color(s) max |Step and Repeat on Bandage (Optional): 1"w x 3/8"h, 2 color(s) max Notes: Paper proof required Spec Samples/Product Proofs not available. Minimum quantity for bandages with 3 or more color imprint is 50,000 pieces and requires custom quote Product is or contains a registered medical device. Packaging: Bulk Pack Of: 18150 Weight: 32 lbs. This convenient, single-use application packet can be customized. 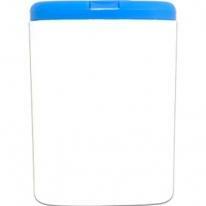 The clean wipes towelette is great for that mom on the go. Packets contain an individual clean wipe towelette|Useful for a wide variety of promotions, including direct mailers. Size : 3"W X 2-1/4"H X 1/8"D. Imprint Locaton: Front (Standard): 2-1/4"w x 1-1/2"h (Back reserved for product information), 2 color(s) max. Packaging: Bulk Pack Of: 1050 Weight: 10 lbs. Keep track of important immunizations - from chicken pox to the flu shot! Record keeping section updated with current CDC recommendations, Plus tips for a pleasant trip to the doctor. Fact-filled fold-up guide to interesting and informative topics, 8 panels front and back fold to credit card size. Materials: Paper Size : 2-1/8"w x 3-3/8"h (folded) Imprint Area: Back: 1-3/8"w x 2-1/2"h, 2 color(s) max Packaging: Bulk (ships flat) Pack Of: 3000 Weight: 28 lbs. 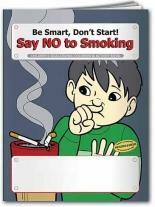 With a lighthearted approach, kids learn that smoking is the one of the worst things you can do. 16-pages with complete storyline Creative characters teach valuable lessons. Product is CPSIA compliant. Materials: Paper Size : 8"w x 10-1/2"h Imprint Area: Front, 5"w x 1-1/2"h, 2 color(s) max. Packaging: Bulk Pack Of: 350 Weight: 25 lbs. Medicine spoon with standard and metric measurements up to 2 teaspoons. Size : 5" x 1"
Attractive, functional and a household necessity. This trusted, health helper has been given an improved and modern design. Dosage of one teaspoon and 1/2 teaspoon. Sits flat for easy filling. Use in the kitchen, too. 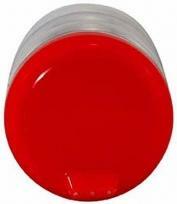 Produced in polished, tough, ABS material to provide years of use, dishwasher safe. Material: ABS Made In: China Size: 5 1/2" Long Imprint Area: 1/2" x 1 3/4" Box Size: 13 x 11 x 11 Shipping: 7 lbs/500 pcs. Printed calibrations for easier use. 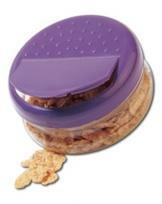 Unique, easy-grip design with 1 3/4 teaspoon capacity, molded in break-proof polypropylene. Calibrations printed, in ml's and teaspoons, now easy-to-read,extra large, top-view advertising area for maximum advertising exposure. Material: Polypropylene Size: 4 7/8" Long Imprint Area: 3/8" x 2 1/2" Shipping: 23 lbs/900 pcs. Children's Laser Engraved Wristband. Laser Engraved Area: 2 5/8" x 1/4" Item Size: 6 3/4" x 7/16" Custom Colors: 4,000 Piece Minimum Packaging: Individual Cello Bag 500 = 8 lbs. Stand-up pediatric spoon holds up to 2 teaspoons of liquid. Features kid-friendly bear face on backside of spoon. Constructed of medical-grade plastic. Dimensions: 5" H x 1 3/4" Diameter Imprint Area: 1/4" H x 2 1/4" W Packaging: Individually poly-bagged Shipping Info: Box Dimensions: 21" L x 19" W x 18" H Shipping Weight: 2.56 lbs / 100 pcs 1000 pcs / box. Medic Dropper. Size : 5 1/8" x 3/4"
Children's Toothbrush/Soft Bristles. Size : 5 1/4" x 1/2"
Protect your loved ones! Record-keeper folder holds an ink strip for fingerprinting, space for photo and room for personal information. Back of folder can be printed at no additional charge; great for co-op advertising. Compatible with Auto Fingerprint Identification Systems. Includes: Record folder, ink strip for fingerprinting. Size : 2-7/16"w x 5-15/16"h x 1/8"d. Imprint Locaton: Outside Front Cover (Standard): 3-1/2"w x 1-5/8"h, 4 color(s) max |Outside Back Cover Centered (Optional): 1-5/8"w x 1-3/4"h, 4 color(s) max |Outside Front Cover and Outside Back Cover (Optional): 3-1/2"w x 1-5/8"h(front); 1-5/8"w x 1-3/4"h(back), 4 color(s) max. Packaging: Bulk Pack Of: 1050 Weight: 15 lbs. Paper soap sheets that dissolve and turn into soap when they get wet. Great for traveling, children or dirty environments. Size: 2 3/4" w x 1 3/4" h Imprint Area: 1 1/2"w x 1 1/8"h Carton Size: 14" height x 12" width x 14" length Carton Weight: 25 lbs / 1000 pcs. Crystal, clear calibration panel for accurate doses. Molded in tough, clear, acrylic plastic, individually poly bagged. 2 1/2 teaspoon capacity, calibrations are directly on top, in black, for easy measurement and accurate dosages. Square design provides two imprint areas. Note: For copy in two locations please add additional-color imprint charges. Material: Acrylic Made In: Taiwan Size: 4 7/8" Long Imprint Area: 3/8" x 2 1/2" Box Size: 14 x 11 x 7 Packaging: poly bagged Shipping: 21 lbs/500 pcs. 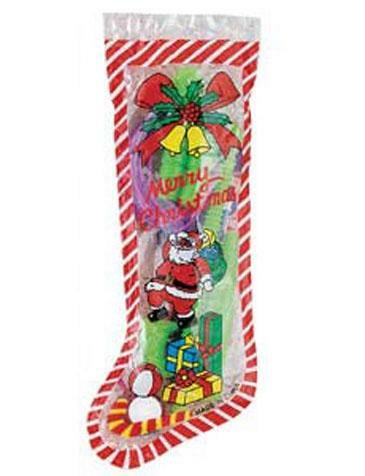 Holiday stocking filled with toys for boys and girls. 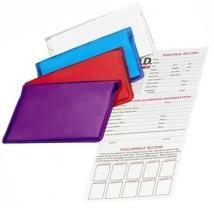 This attractive record keeper folder includes an ink strip for fingerprinting and moist towelette for easy clean-up. Space for photo and identification notes on back. Compatible with Auto Fingerprint Identification Systems. Includes: Record folder, ink strip for fingerprinting, moist towelette. Size : 2-3/8"w x 5-13/16"h x 1/8"d. Imprint Locaton: Outside Front Cover (Standard): 1-7/8"w x 2-1/2"h, 4 color(s) max. Packaging: Bulk Pack Of: 525 Weight: 12 lbs. Baby spoon with flexible tip. Size : 5 1/2" x 1"
Charts start at a height of 24 inches. Excellent for doctor's offices and nutrition-related promotions. 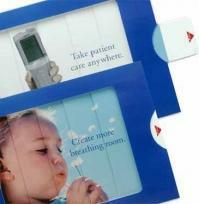 Excellent for health-related promotions|Charts start at 24" height. Materials: 10 lb. paper. 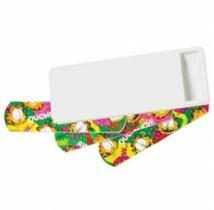 Size : 7"w x 36"h x 1/32"d. Imprint Locaton: Front Upper (Standard): 4"w x 3"h, 4 color(s) max. Packaging: Bulk Pack Of: 250 Weight: 18 lbs. Unique design features pediatric spoon and syringe with kid-friendly tip. 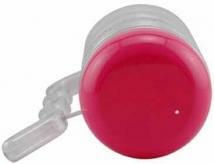 Syringe holds up to 10 ml (2 teaspoons) of liquid and easily suctions up liquid medication. Constructed of medical-grade plastic. Dimensions: 5 1/4" H x 1 3/4" Diameter Imprint Area: 1/4" H x 2 1/2" W Packaging: Individually poly-bagged with instructions. Shipping Info: Box Dimensions: 21" L x 19" W x 18" H Shipping Weight: 2.79 lbs / 100 pcs 1000 pcs / box. The Deluxe I.D. Kit vinyl record keeper folder keeps a personal record, physical characteristics, babysitter/guardian information plus more. Great for teachers, coaches, and babysitter. 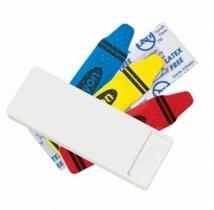 Includes ink strip for fingerprinting. Compatible with Auto Fingerprint Identification Systems|Easy-to-use ink strip offers clear, consistent, high-quality prints. Includes: Record folder (personal record, photo record, babysitter/guardian record, fingerprint record), ink strip for fingerprinting, vinyl case. Size : 4-5/8"w x 3-7/16"h x 1/8"d. Imprint Locaton: Front of Card (Standard): 4"w x 2-1/4"h, 4 color(s) max. Packaging: Bulk Pack Of: 525 Weight: 22 lbs. Contains 3 Assorted Crayons, 3 Coloring Book pictures Size: 5� x 2-7/8� Imprint Area: 2-34� x 1-7/8� Shipping Weight: 150 Pcs. / 20 Lbs. Includes 20 (7"w x 7.5"h) wipes for cleaning your baby and preventing diaper rash. Size: 2 3/4"w x 3 3/4"h Wipe Size: 7"w x 7 1/2"h Imprint Area: 2"w x 3"h Carton Size: 17" height x 15" width x 9" length Carton Weight: 22 lbs/200 pcs Refills not available. Includes 20 (7"w x 7.5"h) antibacterial household multi-purpose wipes. Size: 2 3/4"w x 3 3/4"h Wipe Size: 7"w x 7 1/2"h Imprint Area: 2"w x 3"h Carton Size: 17" height x 15" width x 9" length Carton Weight: 22 lbs/200 pcs Refills not available. The DNA I.D. Kit comes in a vinyl case with a personal, photo and fingerprint record. 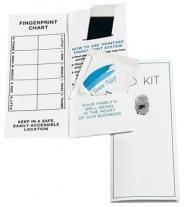 The kit also comes with a clean nap, ink strip for fingerprinting and much more. This kit is great for the whole family. Compatible with Auto Fingerprint Identification Systems|Approved by National Crime Bureau. Product Includes: Record folder (personal record, photo record, fingerprint record, medical record, physical description), ink strip for fingerprinting, clean nap, DNA record (swab method or hair method) with paper bag for collection. Size : 4-5/8"w x 3-7/16"h x 1/8"d. Imprint Area: Front of Card (Standard): 4"w x 2-1/4"h, 4 color(s) max. Packaging: Bulk Pack Of: 300 Weight: 13 lbs. 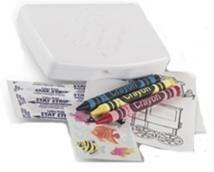 Contains four non-toxic crayons, four coloring sheets, fun stickers and two latex-free character bandages. Eco Navy Blue, Eco Dark Green, Eco-Tan and Black molded with up to 100% home recycled material. Product Size: 3 1/8" x 4 1/4" x 7/8" Imprint Area: 1 7/8"H x 3 1/2"W Packaging Dimensions: 22"(L) X 16"(W) X 10"(H) Units Per Box: 250 Shipping Weight: 30 lbs. 7 oz Sip-A-Cup. 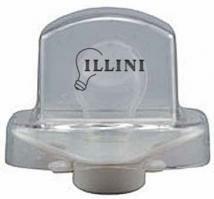 Size : 2 5/8" x 4"
Pacifier With Clear Cover. Size : 2 1/8" x 1 1/2"
14 oz. 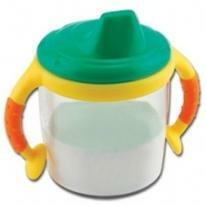 Sip-A-Mug. 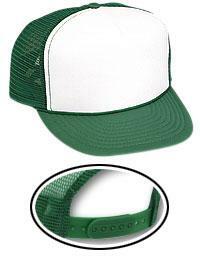 Size : 2 7/8" x 5 3/8"
11 oz Snap-A-Snack. 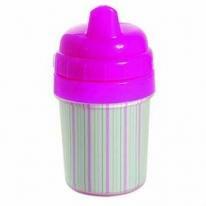 Size : 4 1/4" x 2"
8-ounce non-spill baby cup with 2 handles. Size : 4 3/8" x 4 1/2" x 2 3/4" Dia. 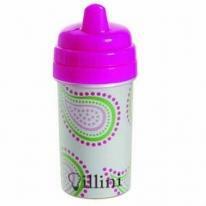 5 oz Non-Spill Baby Cup W/Customizable Insert. Item Size: 2 1/2" x 5" x 2 1/2" Imprint Areas: 1 1/4" x 1 1/2" Max. Imprint Colors: 2. Addl Run Charges: $.25 Per Color - Pad Print. Packaging: Individualy Boxed Items per case: 24 Carton Weight: 7 lbs. 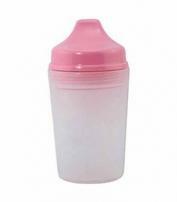 10 oz Non-Spill Baby Cup. Customizable Insert. Item Size: 2 3/4" x 6 3/4" x 2 3/4" Imprint Areas: 1 1/4" x 2 Max. Imprint Colors: 2. Addl Run Charges: $.25 Per Color - Pad Print. Packaging: Individually Boxed Items per case: 24 Carton Weight: 9 lbs. Digital Thermometer. Size : 5 1/4" x 3/4"
Great For Product Launches, Direct Mail, Service Launch, Invitations. Pull tab to morph from one image to another. Postcard allows for two panels (front and back) of information. Brochure version allows for 4 panels (front, back and 2 inside) of information. Size: 8 1/4" x 5 7/8" Mockup/Proof $800. 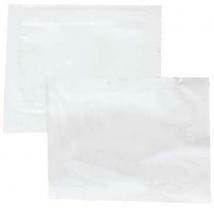 Standard Pack: Bulk in plain envelope Wt/100 pcs: 9.5 lbs. 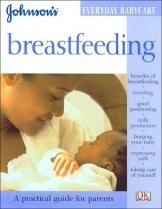 Health: Breastfeeding (Johnson's Everyday Babycare Series). The ideal guide for the first-time mother who wants to give her baby and herself all the benefits of breastfeeding, the book covers every aspect of feeding and weaning, from good positioning, milk production, and expressing milk, to burping and gauging when baby is full. Much thought and helpful advice is also given to maintaining breast health, bonding, and- if you're a new mother- taking good care of yourself. paperback, 64pp. Customization additional - call for pricing. Great For Product Launches, Direct Mail, Service Launch, Invitations. Pull tab to morph from one image to another. Postcard allows for two panels (front and back) of information. Brochure version allows for 4 panels (front, back and 2 inside) of information. Size: 8 1/4" x 5 7/8" Mockup/Proof $800. Standard Pack: Bulk in plain envelope Wt/100 pcs: 10.5 lbs. 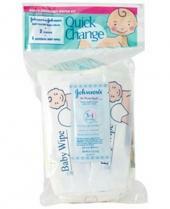 Diaper Emergency Kit "Quick Change" features 2 Disposable Diapers, Johnson & Johnson Cleansing Cloths with J&J Baby Lotion 1 oz. or J&J Diaper Rash Cream, 33 oz. and Pacifier, Label is affixed to outside bag. Imprint : On label : 1.25" h x 2.5" w. Packing / Shipping weight : 12 per case/9 lbs. Dual reading scale in C/F 30 sec. measurement time Beep after measurement Fever alarm. Size : 7/8" X 5 1/4" X 1/2". Imprint Area : 1" X 1/4". PCS/LB : 288/30. 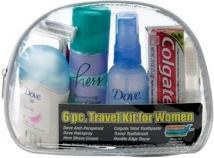 Johnson & Johnson Baby Travel Bag: J &J Powder 1.5 oz., J &J Shampoo 1.5 oz., J & J Lotion 1 oz. or J & J Diaper Crème, 33 oz., Rubber Duck, color coordinated Wash cloth and Rattle, Cotton Swab Pack, Baby Bath Guide in a duck print zippered vinyl travel bag with white piping, Printing is done on the bag. Imprint : On label : 1.25" h x 2.5" w. Packing / Shipping weight : 12 per case/15 lbs. The ideal item for moms and dads on the go, this compact bag opens up to a full-size changing pad to keep baby clean and comfortable during diaper changes away from home. Its lining is a breeze to wipe clean. The outside zip pocket is perfect for small items, and the inside mesh pocket neatly holds diapers and wipes. A clever buckle allows it to attach to mom's purse or dad's belt. Made of 600D polyester. A great gift for new parents! Size: Open: 32 1/2" x 21 1/2" Close: 11 1/2" x 8 3/4"
This beautiful double handled brown willow basket holds the softest 15" teddy bear, great for cuddling! A 40" ever so soft fleece blanket along with a set of 2 baby lullaby CD's is perfect for those relaxing moments. Mom also gets to paper herself with green tea and mint body and bath lotion and gel. Refreshing and calming for those busy days. Dimensions: 15"L x 12"W x 20"H Shipping weight: 5 lbs. Celebrate a new arrival with this pastel box filled with relaxation treats for mom and baby to share. Baby will enjoy tub time with the ducks soothing lavender tub sachet and Mom can de-stress with Serenity Shower Gel, Lotion and pouf. A ceramic quilt design photo frame and keepsake Guess How Much I Love You (TM) lullaby CD will create lasting memories. Dimensions: 12"L x 6"W x 6"H Shipping weight: 4 lbs. This woven storage chest includes a calming music CD, cozy slippers, lovable plush lamb, Baby is Sleeping" door hanger and 2"x3" picture frame. Imprinted ribbon and gift cards available at additional cost and min. of 12. Dimensions: 13"L x 10"W x 7"H Shipping weight: 4 lbs. This pastel tote filled with cozy soft 15" plush teddy bear, a set of 2 lullaby CDs and a "Baby is Sleeping" door pillow is the perfect accompaniment to a peaceful sleep. Also included is a pewter finish photo frame and "Baby�s First Tooth & Curl" boxes, to treasure meaningful keepsakes. Dimensions: 13"L x 2.5"W x 13"H Shipping weight: 5 lbs. This basket includes green tea & mint shower gel, body lotion, bath salts, hand-held massager, green tea candies, 4"x6" picture frame, "Baby is Sleeping" door hanger, plush lamb, soft blanket and Guess How Much I Love You CD. Imprinted ribbon and gift cards available but additional cost. Imprinted ribbon and gift cards available at additional cost and min. of 12. Dimensions: 15"L x 13"W x 13"H Shipping weight: 6 lbs.